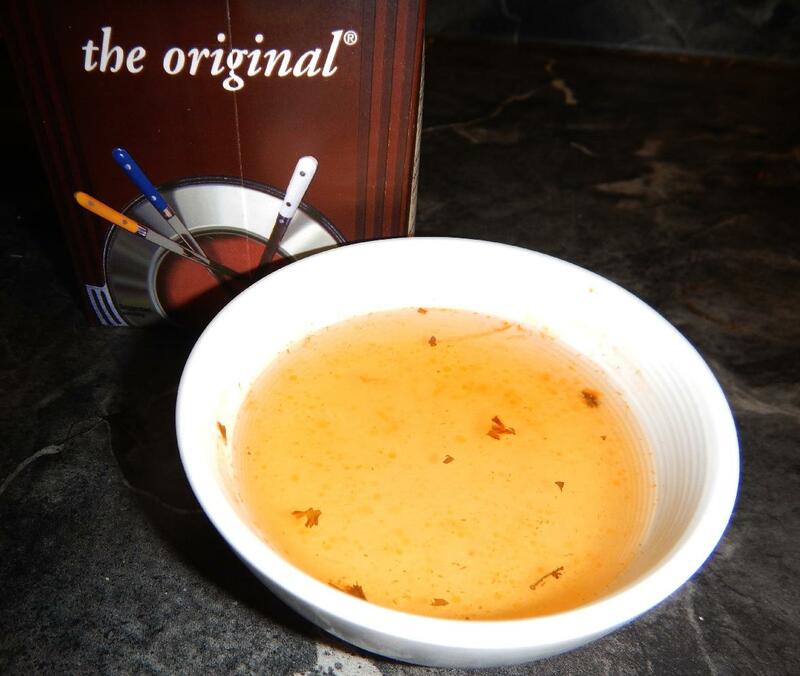 The Original – When I poured out some of this broth, the first thing that struck me was the color. It has the same sort of golden brown tint as many meat broths but there was also a rather artificial vermillion tint to it as well. You can probably also make out some brownish flecks in the liquid too. I took these to be fragments of herbs at first but on closer examination they appear to be clumps of coagulated solids that have precipitated out of the solution. This wasn’t off-putting exactly, but not very encouraging either. The ingredients do not list any sort of meat or meat essences and the taste and body seems to rely heavily on wine and hydrolyzed soy protein. The overall flavor, when tasted straight from the carton, is definitely not subtle and has an almost fruity sweetness with an acidic aftertaste that probably comes from the tomato paste and citric acid listed as ingredients. Like the color, the taste is quite chemically artificial and not very delicate. As a cookery test, I made a soup by simmering some beef, potato, onion and carrot in the broth without any further flavorings. The result was not bad (my wife rather liked it) but it definitely lacked any sort of home-cooked goodness. 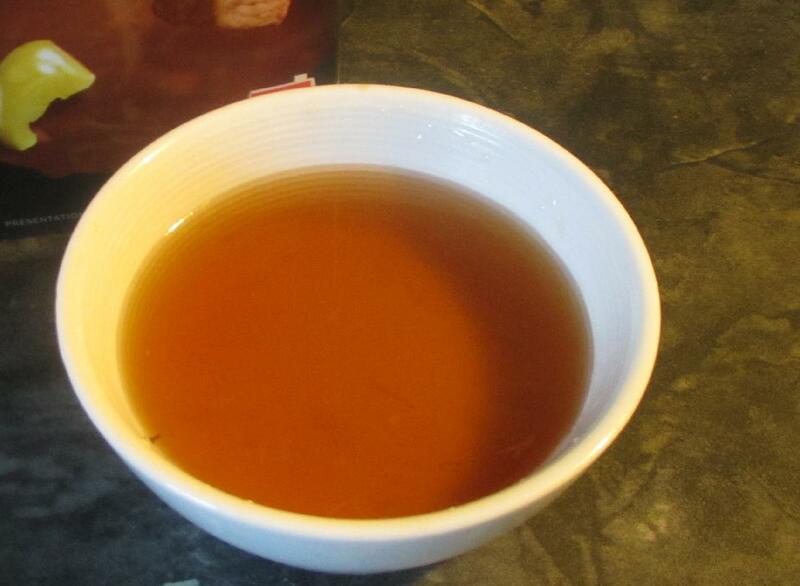 Beef-Onion Broth – This turned out to be a bit better than the ‘Original’ but only marginally so. The carton lists beef on the label but it is pretty far down on the ingredients list (which usually indexes the relative amount) and I suspect that the umami qualities come, again, from hydrolyzed soy protein. The color is a bit more realistic in this product and the more jarring sweet-sour notes of the original, while present here, are a bit more muted. To test by cooking, I did two dishes. First, I pan-fried some duck breast and then used a little of the broth as a base for a sauce to which I added a bit of red-currant jelly. I also braised the accompanying vegetables, being potato, carrot an onion, in the broth as well. Finally, with the rest of the carton, I made a soup using chicken, potato and daikon greens. In each case, the result was okay but not particularly inspiring. 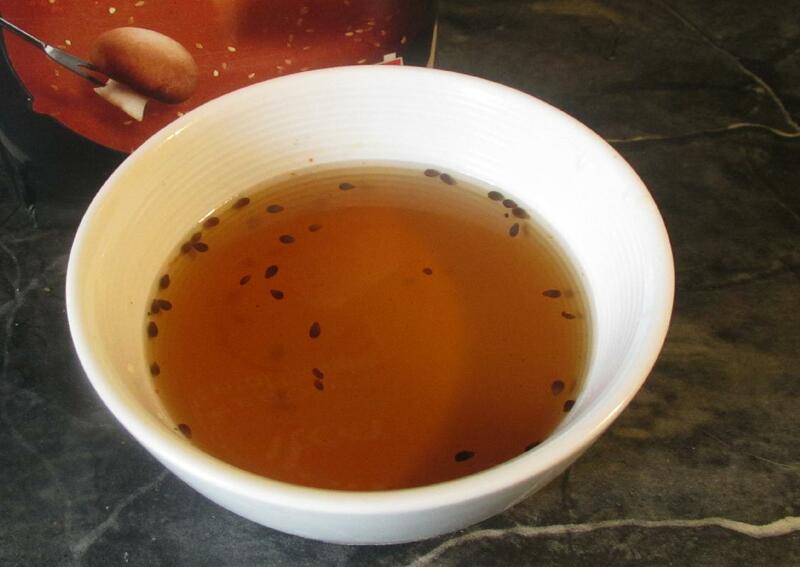 Oriental Delight – This broth was actually a bit of a surprise after the first two. The box promises a ‘slightly spicy taste enhanced with sesame and ginger’ and you can actually see the sesame seeds in the broth. The ginger, according to the label, is the ground (dried powder) variety but, honestly, with the slightly citric acidity, I probably could have been fooled into thinking the fresh article was used. This broth doesn’t come across as aggressively sweet as the other two and the acidity is not jarring. This may be an ameliorating effect of the ginger, which is quite strong, but whatever the case, the final result not as unsubtle or obviously artificial as in the other two broths. The carton suggests mixing the broth with coconut milk to make a nice Asian soup and this might very well be quite good. I doubt I will ever be using this as a plain soup base or a sauce stock myself but I can see that it would probably do very well in its intended use as a fondue broth. Although the Oriental variety was quite decent, on the whole I wasn’t all that impressed. According to the company website, there are some other broth types (Thai, Red Wine, and A la Forestiere) but, in all honesty, nothing I tried here as inspired me to try any of them. 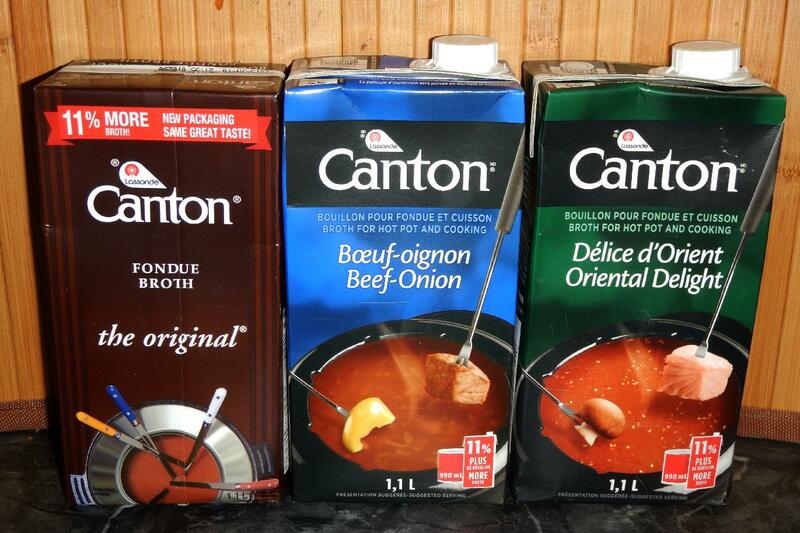 I’ve yet to find a packaged chicken or beef broth that I like. Tried an organic brand recently and was excited at the prospect of a boxed broth with nothing but chicken, onions, and salt (and maybe some herbs–can’t recall) in the mix. However, it had an odd chemical smell and didn’t taste much like chicken. The Campbell’s Chicken Broth I mentioned above is pretty decent. I don’t like their Beef broth at all though. Their beef broth is awful. I’ll have to give the chicken one another try, but I remember I found it salty. I recently tried their “Miso Broth” and was so impressed! I can’t find it anywhere on their website, so I hope they haven’t discontinued it. It had the perfect amount of ginger in it (subtle), nothing was coagulated, and the flavor was wonderful. If this isn’t discontinued, I’d highly recommend it. I haven’t seen that one.. in fact, I haven’t seen the other sorts on local grocery stores for a while either, now that I think about it.